Madison, Wisconsin - American Family Children's Hospital is among the top 50 children's hospitals in five medical and surgical specialties in the annual U.S. News and World Report Best Children's Hospitals rankings for 2015-2016. Data was collected from 184 children's hospitals. In evaluating each hospital, U.S. News looked at clinical and operational data, results from a reputational survey of board-certified pediatric specialists and supplemental information from resources like the National Cancer Institute. The data included level and quality of hospital resources directly related to patient care, delivery of health care such as programs that prevent infections and adherence to best practices, and clinical outcomes like patient survival, complications and infection rates. "Every day we aim for high-quality, patient-and-family-centered care, something that is deeply embedded in the culture of our physicians and staff," said Jeff Poltawsky, senior vice president of American Family Children's Hospital. 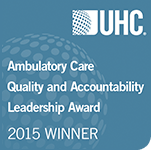 "This year's rankings reflect our commitment to the best patient care and family experience." "Patients and families are the ultimate judges of whether their needs are being met," said Dr. Ellen Wald, chair of pediatrics. "The growth of the hospital, from a wing in the adult hospital to a free-standing building, illustrates our success." American Family Children's Hospital is an 87-bed facility with 30 specialty clinics and 220 physicians and surgeons. The hospital includes a 14-bed Level IV surgical neonatal intensive care unit, a dedicated pediatric imaging suite that provides ultra-low-dose imaging technology and protocols and a state-of-the-art hybrid catheterization/angiography suite.